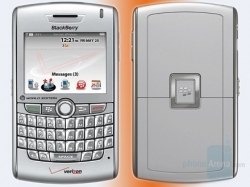 Blackberry 8830 Details | BlackBerry Blast! It appears the Blackberry 8300 release is right upon us. engadget mobile is reporting that Verizon is planning to release the Blackberry 8830 on May 14 for business users, and May 29 for consumers. The new Blackberry 8830 will support microSD cards up to 2GB. They will also include a media player that supports iTunes music.